The first Saturday, June 9! Learn from local experts how YOU can make the Charlotte region more sustainable through our full day of workshops and panel discussions! Dive into a variety of sustainability issues we have right now and learn how you can affect change in our city. 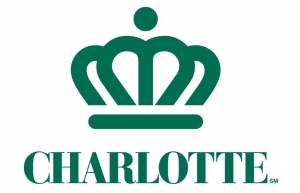 The City of Charlotte named new Planning Director,Taiwo Jaiyeoba,effective January 16, 2018. Join us for lunchat the Barrel Room at Triple C Brewing on Wednesday, January 31 tohear directly from the new Director. Free parking is available in the Triple C parking lot and on streets nearby. Attendees are encouraged to consider the Blue Line to New Bern station.The meeting is free to members and sponsors. Lunch is provided beginning at 11:30 am; the program starts promptly at noon. Non-members pay $45 to attend. Consistency meetings: Commercial on First Wednesdays, Residential on First Tuesdays. See the calendar for upcoming meetings.